With assurances Denver would not be coming after San Luis Valley water in the near future, the Rio Grande Roundtable this week approved $10,000 to support a south metro Denver area water project. The decision was not unanimous, however, with opposing votes coming from Juanita Martinez, who represents Costilla County water groups, Ron Brink, who is an Alamosa County representative on the roundtable, and Gene Farish, attorney for multiple municipalities in the Valley. Sixteen other members of the roundtable voted to support the WISE (Water, Infrastructure and Supply Efficiency) Project with $10,000 from the funds allocated to the Rio Grande Basin. The other basin roundtable boards throughout the state have financially supported the project, which will recycle water from the Denver and Aurora water systems to south metro water providers and their customers. The treatment plant for the project will cost about $6.5 million. 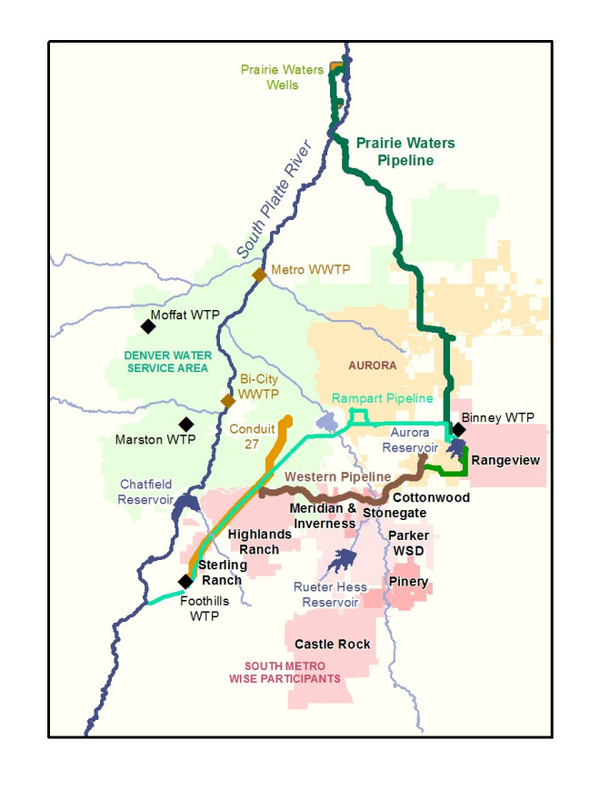 The south metro water providers have already purchased pipeline to transport water from the Denver and Aurora systems to southern metro areas like Highlands Ranch and Castle Rock. Eric Hecox, executive director of the South Metro Water Supply Authority, made the initial presentation for the $10,000 request to the roundtable in January and made the formal request to the board this week. He said this project would reduce the draw on nonrenewable groundwater resources that have traditionally supplied the southern metro communities. He said the project would also reduce the metro areas’ need to look to agricultural transfers or other basins for water supplies. Hecox stressed that the water providers he represented were not after Valley water, and if they did look to other water sources outside of Denver, it would be the Colorado River system or South Platte, not the Rio Grande system. It’s been proposed to move San Luis Valley water in the past,” he said. “There’s water projects proposed . We have not had any discussions with them. Our members have not had any discussions with them. The planning work we are doing is looking at basin solutions in the South Platte Basin or other partnerships with has support from throughout the state. She explained to Hecox that irrigating in the area she represents is still accomplished through shovels and opening irrigation ditches, and although she was fascinated by this project , which would use “left over discarded water,” she was skeptical about it. She said she was opposed to the motion for funding, and everyone she spoke to in her county told her to not even consider it. She pointed to the Arkansas Valley where farmland has been dried up so people in the Denver area can have nice lawns and golf courses. 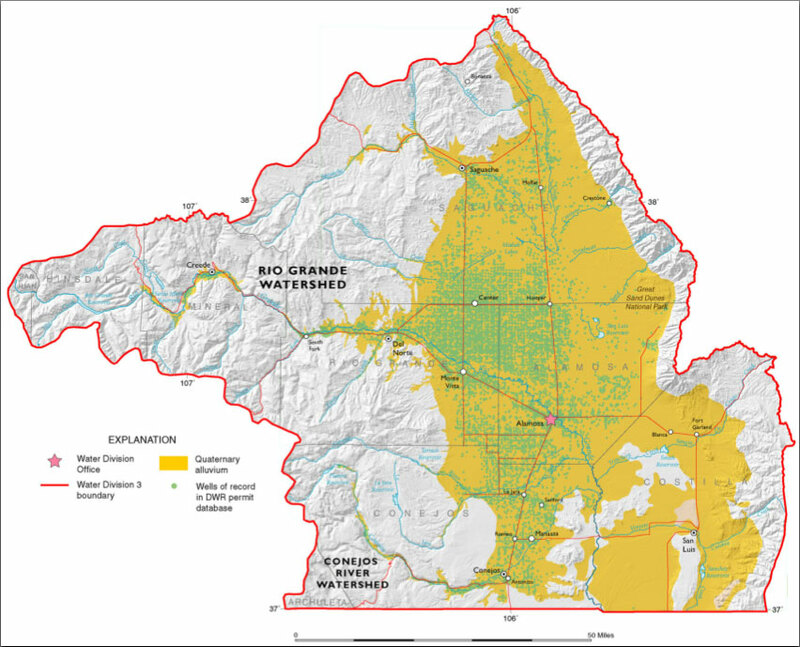 Martinez said if the metro water group had no interest in the Valley’s water, then it must water “our good name” to show that it was to show cross-basin cooperation. He added that the metro water providers were trying to find solutions that would use renewable supplies, such as those from Denver and Aurora, rather than continuing to deplete nonrenewable supplies. He said the communities served by the south metro providers have also implemented significant amounts of conservation programs. “That will go on and continue to reduce outside irrigation in south metro,” he said. He said conservation efforts have reduced per capita water use by 30 percent over the last 10-15 years. Rio Grande Water Conservation District Manager Steve Vandiver said he had raised concerns about supporting this project when it was initially presented, and the concern about “completing the loop” that would make it easier to export Valley water to the Denver area was still a concern of his. However, he said after speaking further with Hecox, he believed the metro water authority had the Valley’s best interest in mind. “They have convinced me that the project as it exists today is going to delay the need for outside supplies outside of the South Platte Basin,” he said. He said the Valley water leaders needed to put their distrust aside and help Denver and the Front Range solve their water problems so they don’t come after the Valley’s water. Roundtable member Judy Lopez agreed. She commended the Denver area water providers for working together to address their water needs among themselves . Vandiver said this project would be built whether or not it receives the Valley’s support. He wanted the minutes to reflect that the Valley supported the project with some reservation and concerns. “We do this with some trepidation but want to support these efficiencies and conservation efforts on the Front Range to try to keep the monkey off our back as long as we can,” he said. For a Senate hearing on Dec. 13, AWWA, the Association of Metropolitan Water Agencies and the Water Environment Federation submitted a jointly prepared written statement laying out concerns about the state revolving fund (SRF) program and urging Congress to pass a Water Infrastructure Finance and Innovation Act. The hearing on water infrastructure by the Environment and Public Works Subcommittee on Water and Wildlife addressed the US Environmental Protection Agency’s SRF program. Among those providing oral testimony were James Hanlon, director of the office of wastewater management at USEPA; Gregory DiLoreto, president-elect of the American Society of Civil Engineers; and Van Richey, president and CEO, American Cast Iron Pipe Co. The American Water Works Association (AWWA), Association of Metropolitan Water Agencies (AMWA) and the Water Environment Federation (WEF) commend the Senate Subcommittee on Water and Wildlife for addressing the challenges and opportunities surrounding our nation’s water infrastructure. High-quality drinking water and wastewater systems are essential to public health, business, and quality of life in the United States. 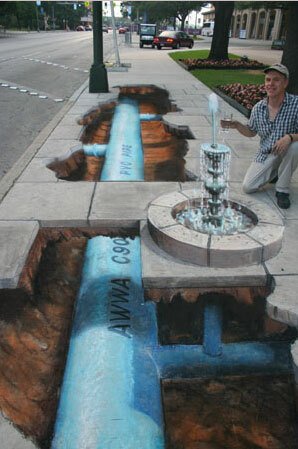 Our organizations and others have documented that our water and wastewater infrastructure is aging and that many communities must begin to increase their levels of investment in the repair and rehabilitation of water infrastructure now in order to protect public health and safety, business continuity and economic viability and to maintain environmental standards. The tenets outlined in this paper provide a path toward truly sustainable water infrastructure for all Americans. AWWA, AMWA and WEF have long believed that Americans are best served by water systems that are self sustaining through rates and other local charges. However, we recognize that at present, some communities need assistance due to hardship or special economic circumstances. There are also times when communities must access large amounts of funding in a short time period to address major water infrastructure needs. The U.S. Environmental Protection Agency’s latest estimates for needed investment in drinking water and wastewater infrastructure shows that more than $500 billion must be invested through 2028 to maintain our current levels of service. And that only includes projects that would be eligible for state revolving loan fund projects (SRF). According to the US Conference of Mayors, more than 95 percent of water infrastructure funding is historically provided by state and local sources. In addition to the vital role water infrastructure plays in local economic growth and even sustainability, water infrastructure has significant impacts on the nation’s economy. The U.S. Department of Commerce has estimated that every additional dollar invested in drinking water or wastewater sector results in an increase in revenue for all industries of $2.62. Furthermore, the Department estimates that every additional job in the water sector creates 3.68 jobs in the national economy. • Use of advanced procurement and project delivery methods. However, there is also an important role for the federal government in lowering the cost of capital for water and wastewater investments. Almost 70 percent of American communities use bonds to finance local infrastructure. They pay billions of dollars in interest costs each year. Lowering the cost of borrowing for water and wastewater infrastructure is an important way to leverage local funding and help America rebuild and rehabilitate our aging water infrastructure. To lower the cost of infrastructure investments and to increase the availability of lower-cost capital, AWWA, AMWA and WEF urge Congress to enact a “Water Infrastructure Finance and Innovations Act” (WIFIA), modeled after the successful Transportation Infrastructure Finance and Innovations Act (commonly called TIFIA). Such a mechanism could lower the cost of capital for water utilities while having no or little effect on the federal budget deficit. WIFIA would access funds from the U.S. Treasury at Treasury rates and use those funds to support loans and other credit mechanisms for water projects. Such loans would be repaid to the Authority – and thence to the Treasury – with interest. • Provide for loans, loan guarantees, and other credit support for large water infrastructure projects and those with national or regional importance. Communities undertaking these projects often find it difficult or impossible to access SRF loans in meaningful amounts, due in part to inadequate capitalization of the SRFs. • Reduce the cost of leveraging for SRF programs by lending to them directly. WIFIA could lend to those SRF wishing to leverage their capitalization grants at the lowest possible interest rates. This would allow SRFs to make more loans and would increase their ability to offer special assistance to hardship communities if they chose to do so. Currently, about 27 states leverage their SRF programs on the bond markets. WIFIA loans to an SRF would offer another mechanism to accomplish the same goal and make such a practice more attractive to additional states. • Continue support for SRF capitalization. Despite growing needs and the implementation of new drinking water regulations, overall federal investment in the SRF programs has decreased significantly in recent years. We ask that Congress carefully consider the broad and important economic and public health benefits that flow from each dollar of support for the SRF programs. • Provide states with flexibility in using SRF funds. This should include the ability to address the special needs of hardship communities they identify. This flexibility should also include the ability to use state procurement processes and standards that minimize process and administrative “burdens” for grant recipients and for states themselves. • Eliminate arbitrage restrictions. Allow SRF programs that issue bonds to keep arbitrage earnings on their invested funds to the extent such earnings are used to support additional investment in water infrastructure. Based on historical market rates, this would provide $200-400 million per year in additional funds for water and wastewater investment. • Streamline the SRF application. Provide incentives to streamline the SRF loan review process. It can take almost a year to obtain an SRF loan. This deters many communities from using the SRF, and leads them to issue higher-cost municipal bonds instead. Due to the revolving nature of the Fund, increasing the pace of awards through streamlining will help increase the revolving flow of funds, allowing even more projects to get built, and so on into the future. Americans can be proud of the progress we have made in protecting public health and the environment through past investment in water infrastructure, but we risk a reversal of that progress unless significant new investments are made in our aging water and wastewater systems. AWWA, AMWA, and WEF greatly appreciate your leadership on this issue and we look forward to working with you and other members of the committee in the months ahead to develop bi-partisan, sustainable solutions to the water infrastructure challenges that the country faces.